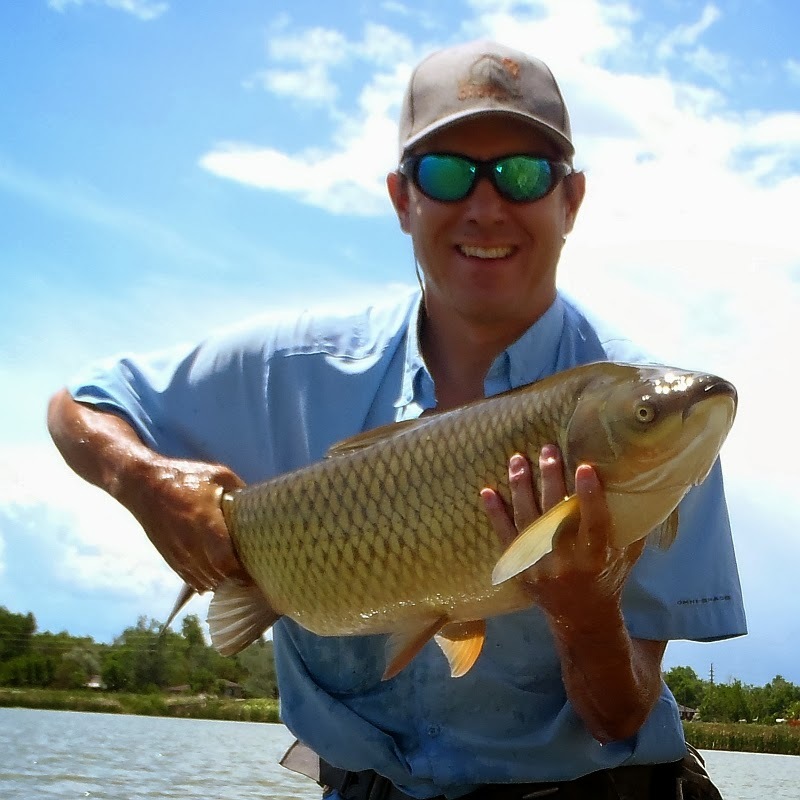 Fly-Carpin: Who are the Real Heroes Of The Denver South Platte? 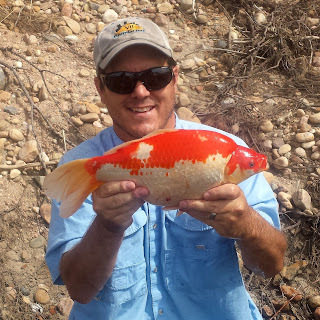 Who are the Real Heroes Of The Denver South Platte? Last night at the Denver Trout Unlimited meeting they gave me an award for "Hero Of The Denver South Platte" for finding and reporting the Sand-Creek oil-spill. It was an odd feeling. On one hand I feel weird for getting an award relating to something that I consider a terrible event. I also feel like Gregg Martin is in large part the hero for making the call that triggered a call that finally triggered the response. When I first got word of the possibility of getting an award it made me a little uneasy. Time has passed however, and I now find that I really am proud to have made a difference and extremely pleased that all the hard work I have put into giving this blog a voice contributed. They gave me a really nice plaque to hang on my wall and show my son. Feels good to be able to show your son something with "Hero" printed on it. 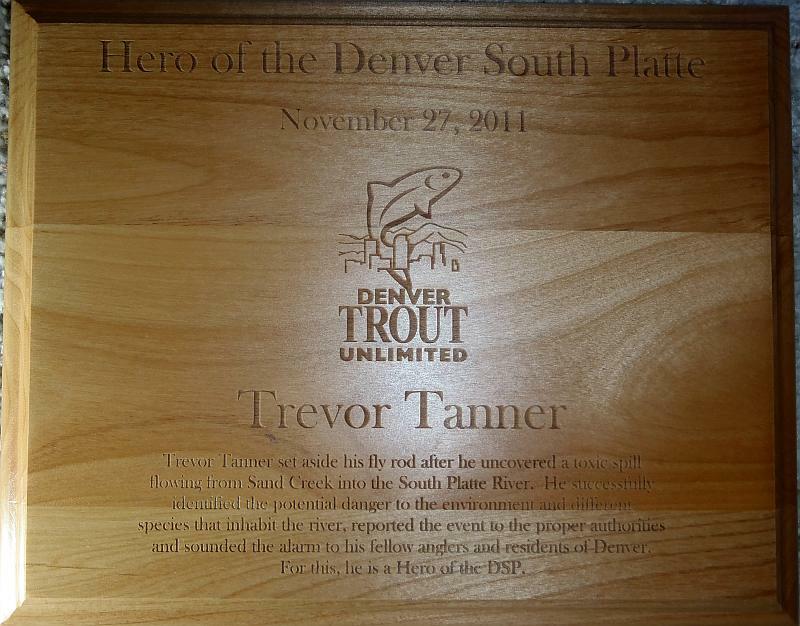 In all honesty though, the real award should go to the hard-working guys at Denver Trout Unlimited. It was only through my relationships with DTU and it's board that I had any idea of what to do. As a matter of fact it was in a DTU newsletter last spring where I first learned that there are people to call! Trout Unlimited plays a critical role across the country on big issues but the local chapters do much more that goes unnoticed. The chapter boards and members are constantly working on local projects that raise awareness, and Sand Creek shows that this awareness can add up to make a big big difference. Here is a prime example. When I was on the bank of Sand Creek it was difficult to figure out what to do and who to call. I had a vague notion that maybe DTU could make some emergency wallet cards, and they took off with the idea. 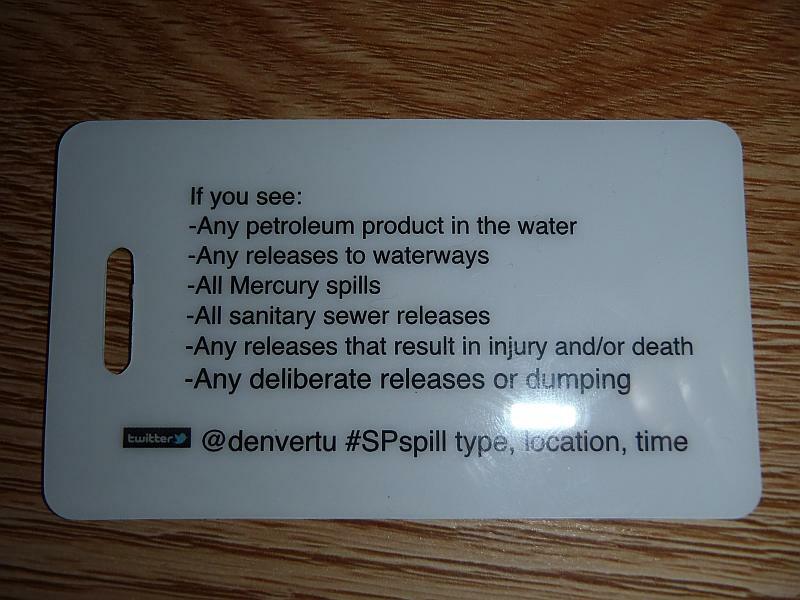 Introducing the DTU Spill-Or-Kill reporting card, which they distributed at the meeting and will be available at various fly shops and chapter meetings on the front range. You might not get one unless you live on the front-range but I am asking you to please put the number to the NRC (800-424-8802) in your phone RIGHT NOW! The NRC number works for reporting environmental issues across the entire USA. Additionally, if you find yourself in an emergency please do not hesitate to call 911. That TU chapter really seems to have it's act together... but you are very worthy of that award, Trevor. 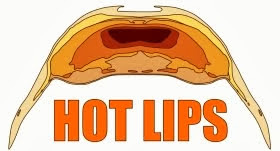 You're a concerned angler, and we are all better off for that. 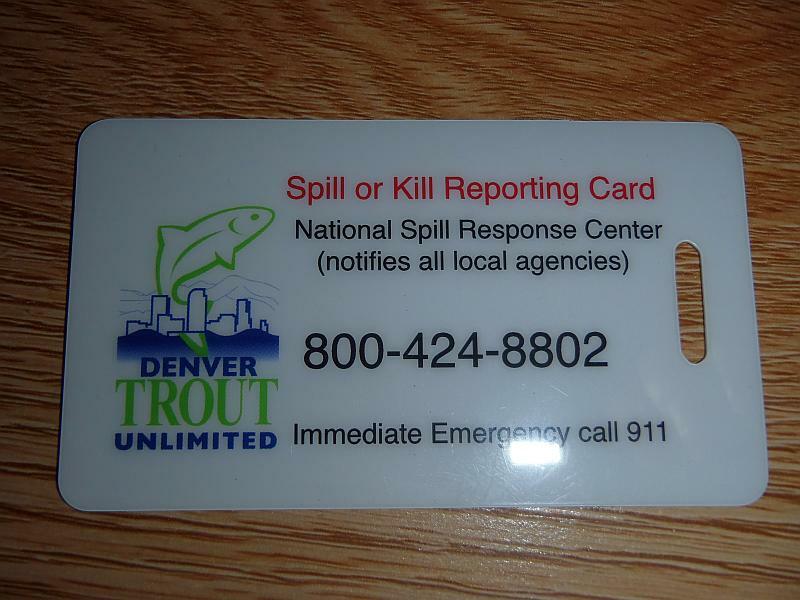 You can also download a contact card for your iPhone or Android at http://goo.gl/ZIKu4 with the Spill or Kill Reporting Card information. Way to go Trevor. 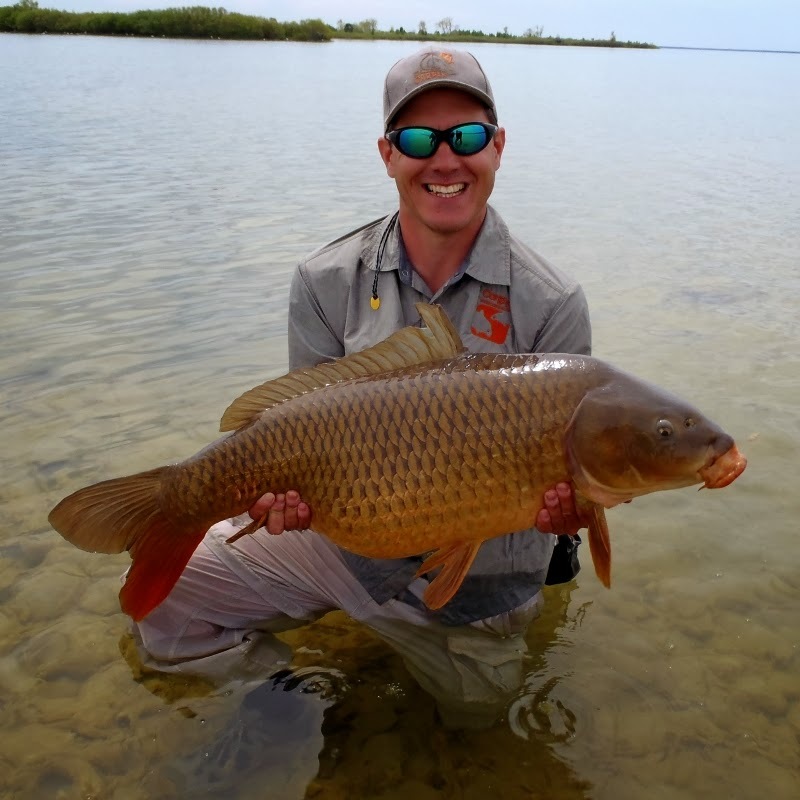 I'm going to post a picture of Trevor with a carp bending his rod double and call it Trevoring. Good information McTage, my TU Chapter has not enlightened me with such knowledge. Thanks. Out-friggin-standing. Hard to see the larger impact of this right now. Some anglers, including me, will carry this number in their phones now. Maybe a few months or years from now, one of us calls in our own South Platte. Maybe several South Plattes get called in over time. Far-reaching impacts that go on for years. A well-deserved award I'd say. Well deserved Trevor. Good on you, dtu, Gregg and everyone that responded. Number locked and loaded in my phone. 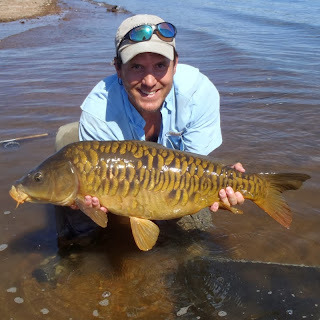 JM - It is no coincidence that DTU is totally infected with carpers AND has it's act together. DTU - Did I just say that? Ignore me. 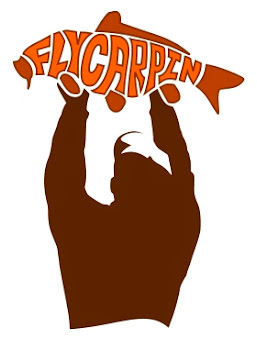 That smell is NOT carpers slowly but inevitably taking over a trout club. Carry on, nothing to see here. Gregg - Glad to help. Let your chapter know! 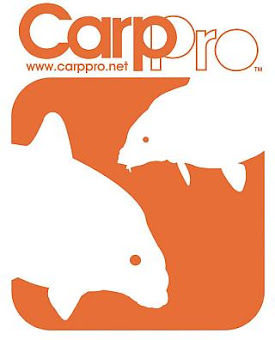 Ty - Unfortunately if anybody is likely to run into bad things on the water it is carpers. John - Good deal on the phone number. 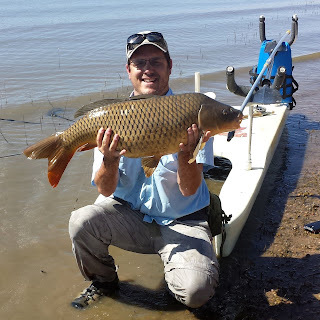 I can't even imagine you finding anything on the Columbia but you never know! You definitely deserve that award. I could tell that you and Gregg were visibly upset by the spill and that caused you take action. If you hadn't noticed who knows the damage that could have occurred. Everyone who worked on this to fix it is a hero. I hope I never encounter a spill of any sort, but if I do I hope that people like you are around to help. 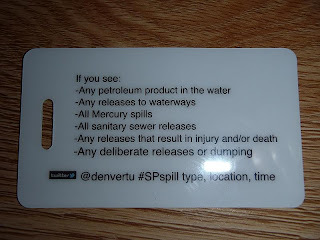 Also, great idea on the spill or kill cards. Thanks Dave! And congrats on the progress seen protecting the bay fishery.